This was the most requested feature in the last two months. So we decided to include it in this release. 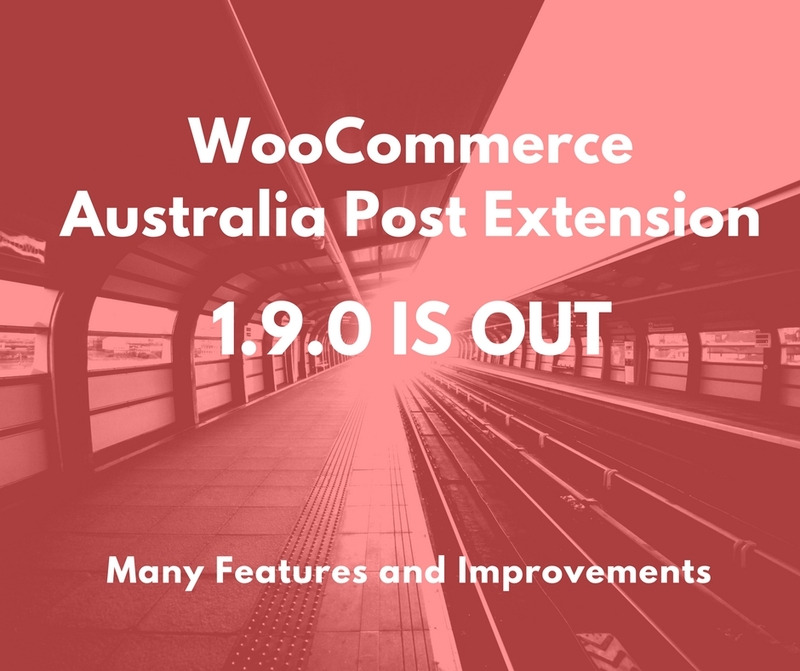 With 1.9, you can rename the shipping services of Australia Post. This includes domestic, international and letters options. Keep in mind renaming a shipping option will rename only the service name in the cart and checkout pages but not the delivery time text. We have no control over the delivery time text. The plugin will display this price in case Australia Post service doesn’t return any prices or any other reason. Leave it blank to disable the fallback price functionality. Fixed: Max weight for satchels. Fixed: Signature on Delivery and Extra Cover fees showing when free shipping selected. We strongly advise to use the built-in WooCommerce shipping zones. 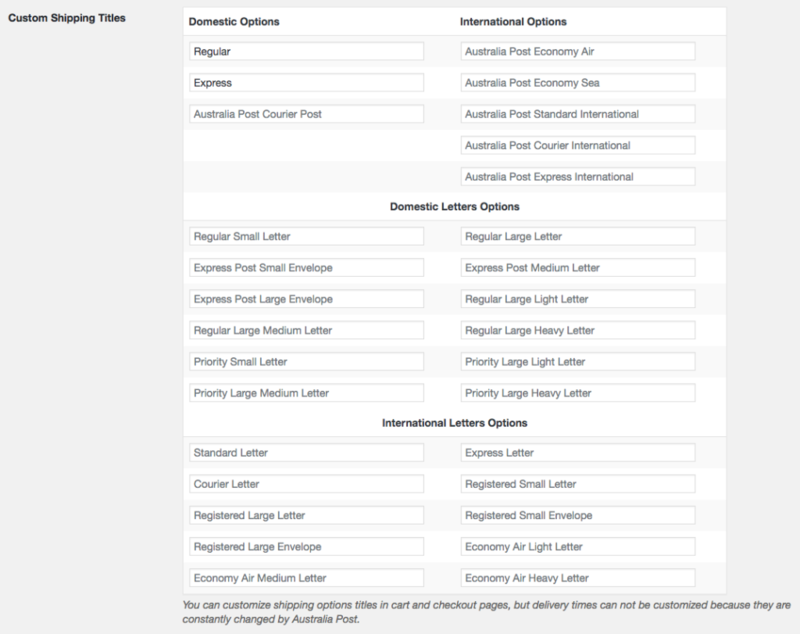 As the Legacy settings page of Australia Post will be removed in the future releases.